The Iowa City Ducks escaped with a win on Saturday, Oct. 7, beating Des Moines 30-27 after falling behind by two tries early in the first half. 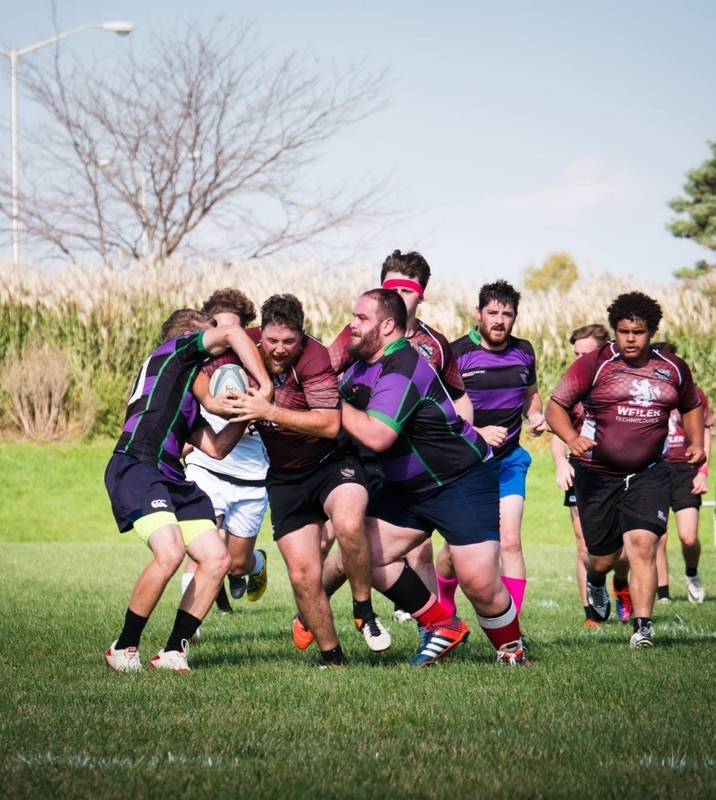 The Boys from Iowa City now sit atop their division's table at 4-0 in league play. The Duck's man of the match Saturday was Scrum-half Ryan Taylor. Taylor said he tried to get the ball out quicker as the game went on, and thought the team ran well in general. "I think as the backline gets more comfortable with each other in phases and get our fitness up, that will get better and better," Taylor said. "This was the first match I really felt in shape, I think our fitness work in practice is paying off on the field." Duck's President Chuck "Prime" Furness said he noticed two major things the team could work to improve upon from Saturday. "We had too many penalties. When we get better our penalties go down, but on Saturday we we're kind of going backwards with the amount we got, we have to cut them down," Furness said. "We also could have made some better decisions inside the 22-meter line, there was a lot of wind, which made it tough to kick, but we made some bad choices too." But there were some positives Furness said he noticed as well. "Our scrums got better and better, by the end of the game we were able to hold our own pretty well," he said. "We stayed and played tough like we always do." Duck's Captain Ty Carew said he agreed with Furness. "That will to win really came out," he said. "We did well in some tough situations and we were able to come through." Carew said he thought tackling was one of the biggest areas of improvement the club could focus on before hosting Clinton on Oct. 21. "I think almost everybody tackled high or missed in some way, once we get hands on a guy, we have to bring him down, that's how you stop good teams," Carew said. "But I thought we were coming up together well and our point of contact was pretty good." Going 4-0 is something the Ducks haven't done in awhile, and Carew said it was good to see the team working together. "It feels pretty good, I think everyone's kind of on the same page," he said. "I think we have a great group of guys that are focused on a single goal and people can align with that." Furness said he agreed with Carew. "We still have that 'buzz'," he said. "Not many teams are able to keep that going." After Saturday's win the Ducks hosted Des Moines at Grizzly's South Side in Iowa City for a social and some cold beer. That win, the closest all season for the flock, wouldn't have been possible without everyone on the club putting in effort, Carew said. "It wasn't just the 15 guys on the field that won that game for us," he said. "It was the 30 guys that keep showing up and practicing hard every week."